KCR is generally rated as ‘good’ but his party misses an Amit Shah to build on his clean image and beat anti-incumbency against MLAs. It’s been raining sops and freebies for the past five years in Telangana, but it looks far from a cakewalk for the ruling Telangana Rashtra Samiti (TRS) in India’s youngest state, which will go to the polls on 7 December. Blame it on unrealistic expectations after decades of struggle for statehood. 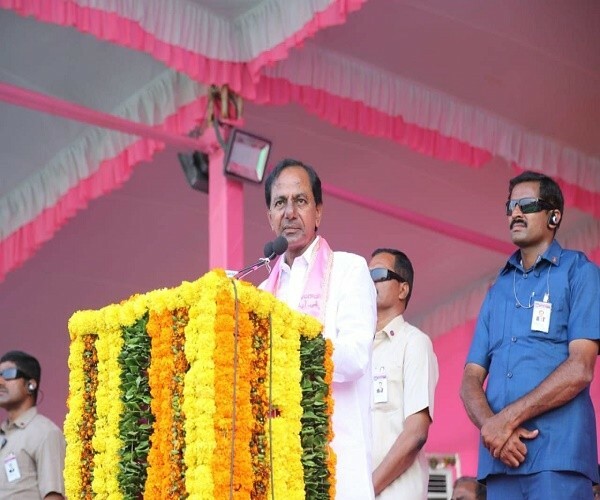 About five weeks ahead of elections, chief minister K. Chandrashekar Rao may have reasons to be worried about voices of discontent emanating from several quarters. The opposition camp — mainly the alliance of the Congress, the Telugu Desam Party (TDP), the Communist Party of India (CPI), and the Telangana Jan Samiti (TJS) — may not have a cogent narrative or a face with pan-state popularity, but the ruling TRS is confronted with a growing sense of ennui among voters. 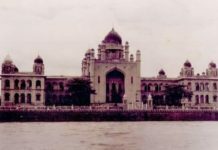 There is unmistakable disillusionment among young students at Hyderabad’s Osmania University, the erstwhile hotbed of agitation for statehood, with the state of affairs in the five-year-old state. Mohan, a PhD scholar at the university who had participated in the statehood agitation, wants a change of guard as he believes the TRS government has failed to fulfil its promises, be it the creation of new jobs, supply of drinking water, or the construction of two-bedroom houses for the poor. Kalyan, a law student, holds similar views, even though he is happy about statehood. “It’s good that Telangana became a separate state. I can call myself a Telanganite now but…” he trails off. Second-year BTech student Haripriya talks about the Hyderabad metro, the IT hub, 24-hour power supply, and irrigation schemes in villages, but is “not very satisfied” with the government. Her grouse: A lack of employment opportunities outside the IT sector. However, a 150-km drive from Hyderabad to Warangal, with short detours into remote villages, shows the popularity of the TRS government’s welfare schemes, such as Rs 8,000 per-acre-per-year to farmers; one-time crop loan waiver; land to SCs/STs; Rs 1 lakh to the poor for the marriage of a daughter; Rs 12,000 to pregnant women; goats and sheep to sections of the backward communities; fishing nets and ponds for the fishermen community; and pensions. The chief minister is usually rated as “good”. What, however, seems to be hurting the TRS most is strong anti-incumbency against the MLAs. 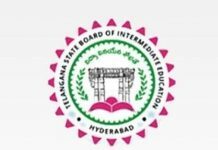 The TRS had won 63 seats in the 119-member Telangana assembly in 2014. In subsequent months, the ruling party went on a poaching spree and increased its strength to 90, with legislators from the Congress, the TDP, the YSR Congress Party and the CPI. The assembly speaker sat on their disqualification petitions, forcing the opposition parties to approach the Supreme Court, where the matter was pending when the assembly was dissolved prematurely in September. Rao has given tickets to all sitting party MLAs and it is not helping his cause. Local media reports cite protests against these MLAs almost daily. Many people in the Station Ghanpur constituency of T. Rajaiah, the TRS MLA who had been removed as deputy chief minister, told ThePrint about their alleged neglect by the high-profile legislator. There were similar sentiments against the TRS legislator of Jangaon constituency. ALSO READ: Is KCR 'Scary Outburst' On Opposition In Nizamabad Public Meeting Shows 'Political Imbalance' In Telangana? 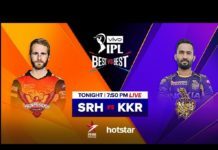 Narendra Modi and Amit Shah have been known to deny Bharatiya Janata Party (BJP) tickets to legislators perceived as unpopular. It has been their way to beat anti-incumbency, a strategy they successfully experimented with in Gujarat and implemented throughout the country subsequently. The TRS has a different outlook though. TRS MP K. Kavitha, the chief minister’s daughter, defended the decision to field all the incumbent MLAs, saying they were given tickets after multiple surveys confirmed they had their priorities right. She added that people’s views about their MLAs would change once they compared them with the candidates of other parties, which are yet to be declared. Kavitha also rubbished the criticism of the TRS government on the issue of unemployment. She said the party had fulfilled the promise of creating one lakh jobs, adding that “87,000… have already been notified”. Where the TRS also seems to be missing an organisation strategist like Amit Shah is the building of structures at various levels of the party, starting with booth-level committees. The TRS had its origin in the statehood movement and the party leadership didn’t work on strengthening the organisation. The absence of party cadres on the ground is pinching the TRS now as it doesn’t have adequate resources at the grassroots to disseminate information about the positive outcome of welfare schemes and counter the opposition’s ‘propaganda’. Unlike the TRS, the Congress and the TDP have their organisation in place in Telangana. Statistically, the opposition alliance of the Congress, the TDP, the CPI and the TJS looks formidable. According to a Hindustan Times report based on the database created by the Trivedi Centre for Political Data at Ashoka University, the TRS secured 34 per cent of the votes in Telangana to win 63 seats as against 25 per cent by INC (21 seats), 14.5 per cent by the TDP (15 seats) and 0.9 per cent by the CPI (one seat) in the 2014 assembly elections. The BJP secured 7 per cent of the votes and five seats, but has failed to make its presence felt in the electoral discourse in the state this time. The figures clearly suggest that even when the TRS was riding high as the party that secured statehood for Telangana in 2014, it could secure just about one-third of the total votes. The Congress, the TDP and the CPI together secured 40.4 per cent of the votes, over 6 per cent more than the ruling party. 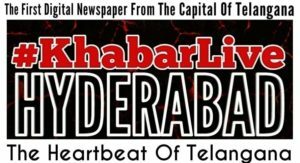 Why Telangana Politicians Are Hankering For ‘Five-Star’ Rating In Elections?